At Air Quality Solutions, our team of certified indoor air quality testing professionals have been helping Pickering home and business owners breathe safe air for over 22 years. 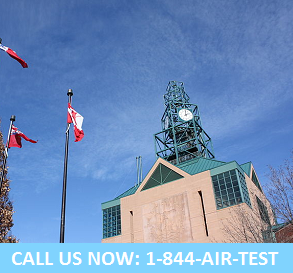 Proud to be your Pickering air quality testing experts, the safety of the air you breathe is our main priority! As industry leaders, we have the knowledge, experience and accreditation needed to uncover hidden airborne contaminants that may be impacting your productivity, health and well being. Our consultants will design an indoor air quality assessment and testing plan that is unique to your individual needs and budget. Call us today and let us show you how a small investment into professional Pickering air quality testing can far outweigh the costs. We can help you breathe a sign of relief – this is our guarantee! A certified indoor air quality consultant is standing by to answer any questions or help with any of your local Pickering indoor air quality testing needs. All you have to do is pick up the phone and give us a call!